In this Kitchen Nightmares episode, Chef Gordon Ramsay visits The Olde Stone Mill, in Tuckahoe, NY, owned Dean Marrazzo who renovated the mill, turning it into a restaurant. Dean spends his time at the windows looking out for customers and head chef Michael has lost his passion and with an old people's home next door, the customers are mostly the elderly residents. Gordon decides to taste the food as he sees no problem with the stunning interior and believes it must be the food. Gordon returns to observe a dinner service and Michael becomes frustrated as he is working alone in the kitchen. The food takes a long time to come out as the dishes are over garnished and lavishly presented. Dishes are sent back to the kitchen, food is cold or the taste is bad. Dean insists that Michael rushes dishes out and Michael tells him that he is not happy with the risotto he is to send out, Gordon questions Michael who tells him that Dean insisted the food went out. After service Gordon tells Dean he is causing more damage by sending out sub standard food. Gordon visits the neighbourhood and visits a local butcher and sees some magnificent looking beef on offer and questions why there are no local steakhouses. He returns to the restaurant with prime rib as this as a special will take some heat off the kitchen. Gordon introduces a new chopped salad and burns the funnel. Gordon suggests that they become a steak house but Dean doesn't believe that customers will want this. Overnight, the restaurant is given a makeover, Dean is impressed with the new décor and he reveals the restaurant now has a sign so that people can find the restaurant. The staff are also to take raw steaks to the customers to show off them off , Tom however has great difficulty remembering the steak names. For relaunch night, the restaurant is full and the local mayor arrives for dinner, Tom struggles with the new menu and Gordon tries to calm him down before sending him off. There are delays in getting the food out and Dean notices the Mayor has still not received his food. He goes into the kitchen and Michael tells him that the printer is not working properly. Dean shouts at Michael and Gordon steps in. Gordon gets everyone into the kitchen to help get them back on track and Dean charms the customers whilst they are waiting for the food. The relaunch was a success! Gordon talks to Dean and asks if he is scared of failure, Gordon then opens up about his failed restaurants. In the weeks that followed everyone stepped up and with his passion returned, Michael's food is greatly improved. A barbecue was arranged to celebrate the 200th Anniversary of the building and Dean is given the key to the city. Gordon also reveals a light up sign on the side of the restaurant. After the show aired, Dean appeared on The Tonight Show With Jay Leno and The Ellen DeGeneres Show. Gordon revisited a year later and it looked like the restaurant was doing well with many satisfied customers. Dean reported that business was up 30%. However in 2009, The Old Stone Mill was sold to the DiNapoli family with Chef Michael remaining in the kitchen. For a while, Dean listed as owner and Louis DiNapoli as general manager. Yelp reviews were mixed but the most recent look to be to be 1-3 stars and 3-5 on Trip Advisor. The restaurant under new ownership has since moved away from the Steakhouse concept that Gordon instilled and has moved more towards Italian food with a few classic American dishes. Dean has also had some acting roles in some minor movies. Dean was co-owner of Siena Italian Trattoria with friend John Hirschbeck, which opened in Stratford in July 2011, serving Italian food, seemingly as a result of Gordon's suggestion that Dean should go back to his Italian roots. Yelp reviews were mostly positive but the restaurant closed in 2015. Dean was a co-host of a hunting show called Suburban Adventures, a show about hunting and then cooking your kills. 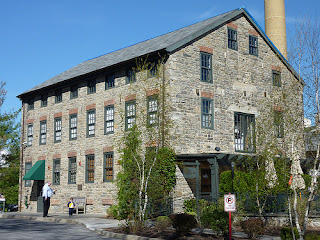 The Olde Stone Mill aired on October 17 2007, the episode was filmed in March 2007 and is Kitchen Nightmares season 1 episode 5. Wow, still open? Good job Dean. It's under new ownership, actually. We've had dinner there for 2 special family occasions and found the staff to be very attentive and the food delicious. The atmosphere is very elegant and romantic. Definitely will be frequenting this restaurant in the future! I don't know why they would make it into an Italian restaurant. There were already so many but not as many steakhouses. I think they should have kept the steakhouse. Or at least not make it Italian. Maybe that's why she was crying. Because she was spending like they had money and now she realizes she was part of the debt problem, but only because she wasn't aware of the problem. He wanted to be the rich man she had always dreamed of having. Not enough images of her for us to figure out how she would respond to pulling back her spending habits. Dean must have thought he was in an alpha male duel for territorial supremacy, perhaps even thought Ramsay was there to steal his attractive wife from him. Quite a buffoon to sign up for help but then behave as if Ramsay was sent by the local mafia to bully him. Such an egomaniac. Some guys don't have any pride, this guy's got far too much.